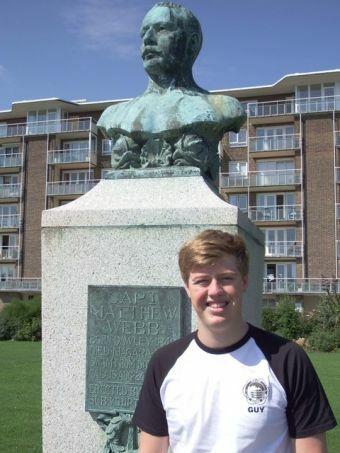 A massive congratulations to our Club swimmer, Guy Proctor, 18, who has successfully completed an amazing SOLO SWIM across the English Channel on 29 August 2018, in an awesome time of 12 hours 55 minutes, despite adverse weather conditions for most of the way. 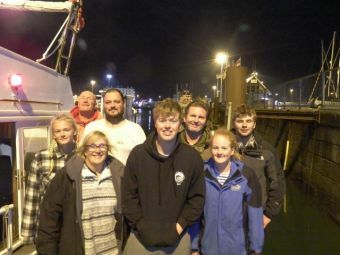 Guy is the first to acknowledge that a Channel Swim is a team efforrt and he could not have done it without the support of the Dover Lifeguard Club Open Water Team, including his coach Tanya Harding, to whom he is grateful for all her time and expertise. Guy has been training for his Channel Swim for the past 4 years and his support crew were Katie Fidock, Ben Fidock and Alex Harding. Guy says his success was 'on the back of their unwavering support and willingness to drop everything to help him achieve his dream'. Everyone at Dover Life Guard Club are extremely proud of you, Guy- Congratulations! !